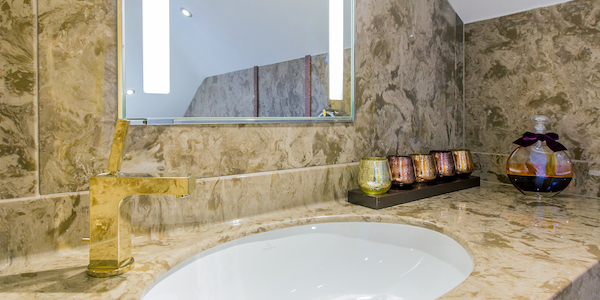 This recently completed bathroom installation is a beautiful example of a practical and functional master bathroom idea.From beautiful accessories and tapware, to glamorous marble panels. What’s not to love? 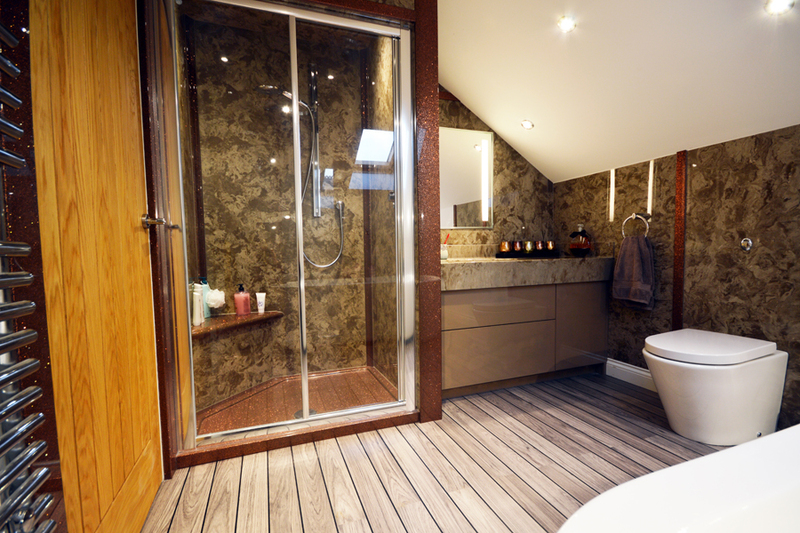 The large walk in shower has plenty of space to fit toiletries and even a built in seat. 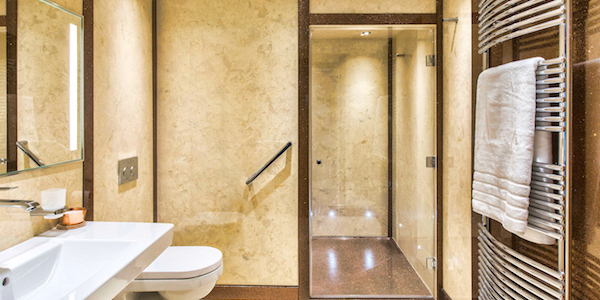 Easy to clean using Versital shower panels – marble style panels that are seamless and have no grouting. Perfect if like us you hate cleaning tiles! 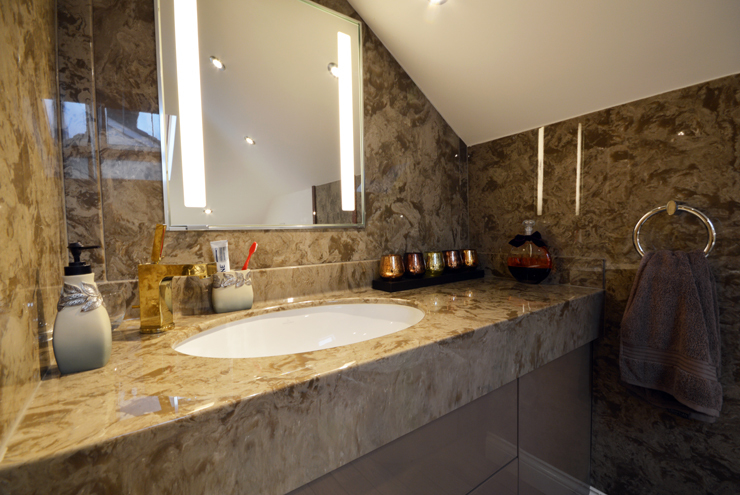 A classic warm brown marble finish in ‘Coffee Crème’ from Versital. 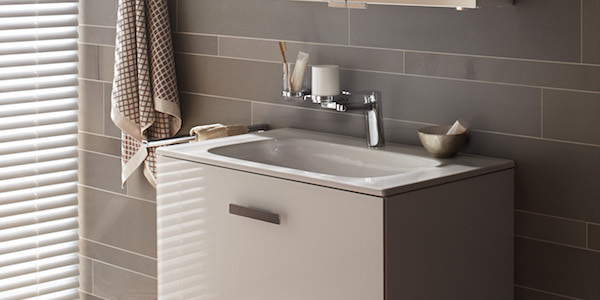 The vanity top and splashback are an effortlessly chic and fabulous way to finish the sink area. Being a Versital marble finish it has the added benefit of being totally waterproof and easy to clean. 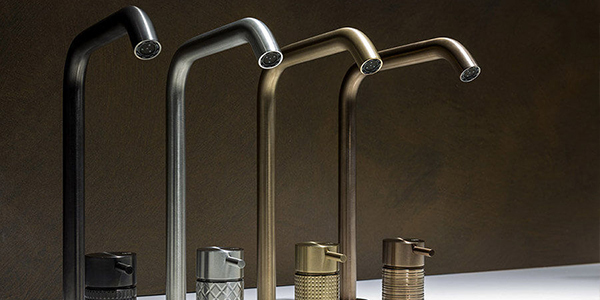 The new range of designer taps from Hansgrohe are a beautiful addition to their range. The Citterio E has an extensive range of colour and finish options, including gold as shown, chrome, pewter, and blacks. The full range of finish options are available to view in our bathroom showroom. This mirror cabinet from Keuco is recessed in the back panel for a seamless look and feel. Perfect lighting for makeup. 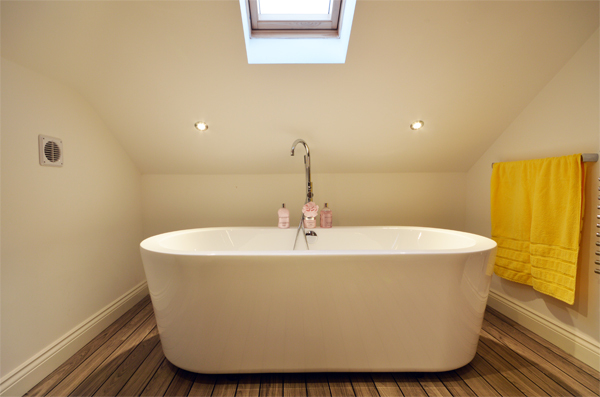 This beautiful large free standing bath makes excellent use of the space underneath the sloped ceiling. 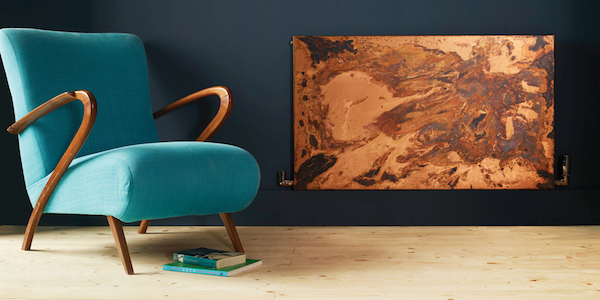 The perfect shape to lounge and soak for hours on end with a good book. 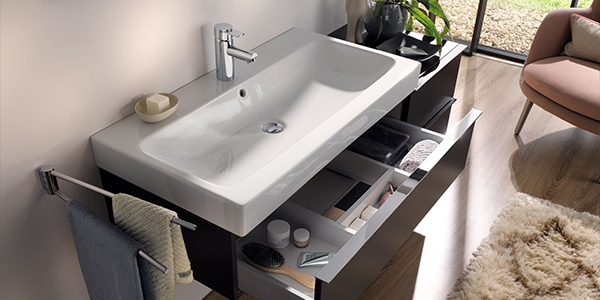 For more bathroom ideas or to meet with the design team please visit our designer bathroom showroom in Bolton. 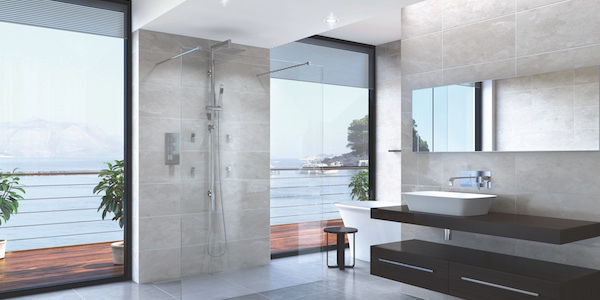 We have a huge range of bathrooms, colours, styles and equipment on display for you to view. No appointment is necessary Monday to Friday to visit the showroom, but it is recommended if you would like more one to one help with a member of the design team. For an appointment please call 01204 525432.